Preheat oven to 350 degrees. Prepare 48 mini-muffin cups. In a large bowl, whisk together the flour, baking powder, salt, brown sugar, and spices. Make a well in the center and add the butter, eggs, pumpkin, milk, and maple syrup. Mix gently and thoroughly until the batter is moist. 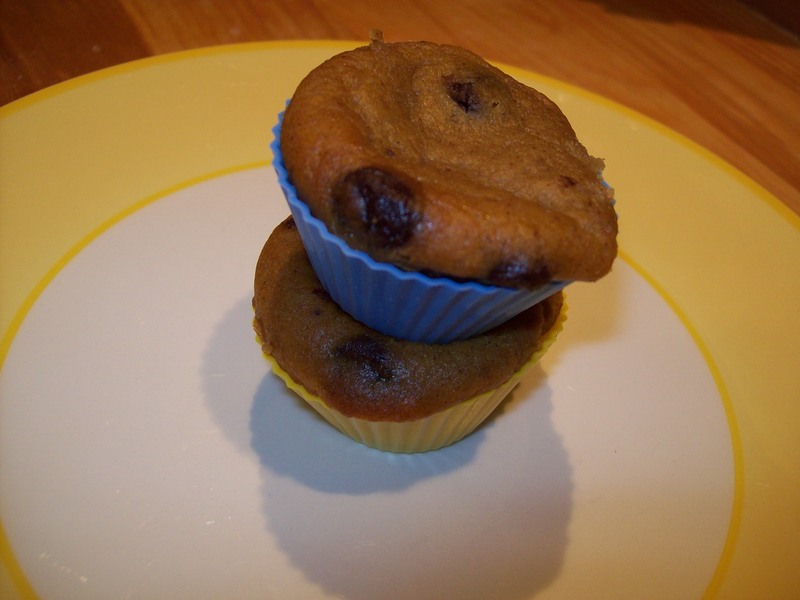 Fold in the chocolate chips and stir until they’re evenly distributed. Scoop the batter into the mini-muffin cups by generous tablespoons. Bake at 350 degrees for about 20 minutes, until set and a toothpick inserted in the centers comes out clean.